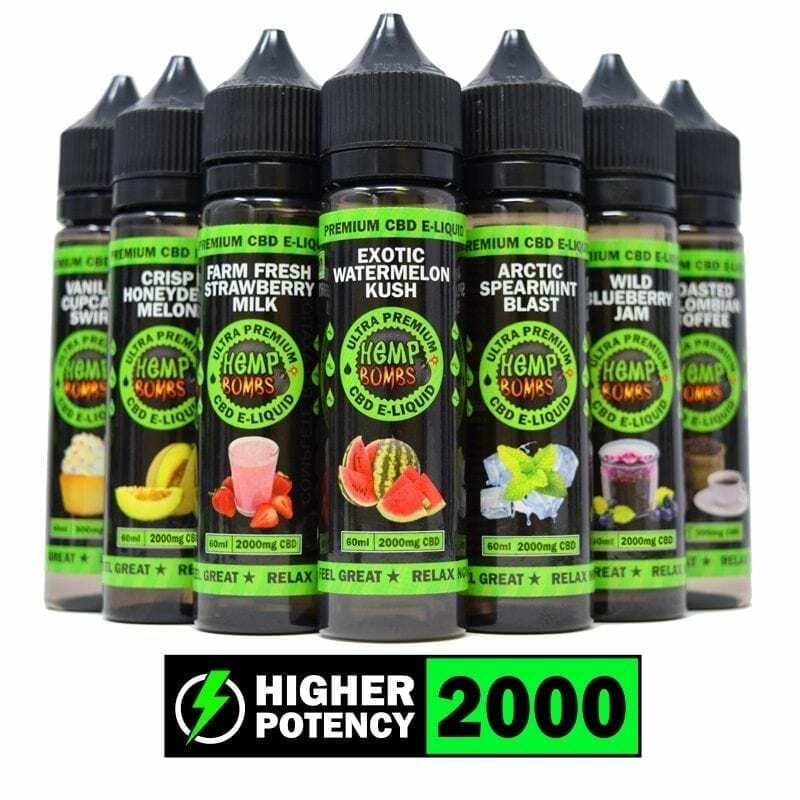 Hemp Bombs continues to be a trailblazer in the CBD industry with our premium CBD E-Liquid. 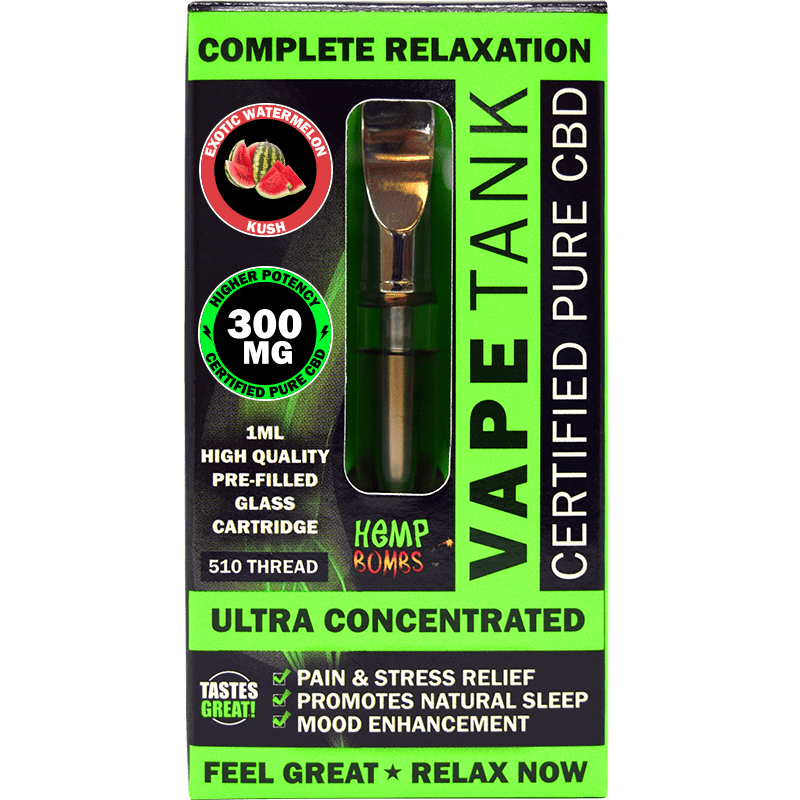 Our Vape Oil is made with pure CBD isolate, and we offer multiple flavors and concentrations, so you can personalize your vape experience. 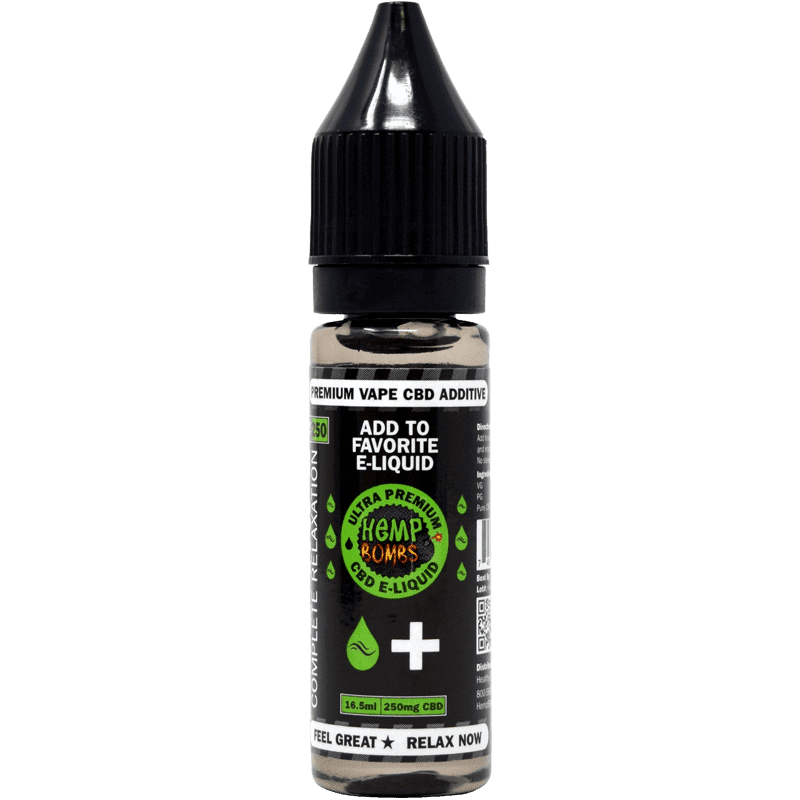 We follow the best practices in Hemp sourcing and extraction to produce a superior quality CBD E-Liquid that is pure, potent and packed with therapeutic benefits. 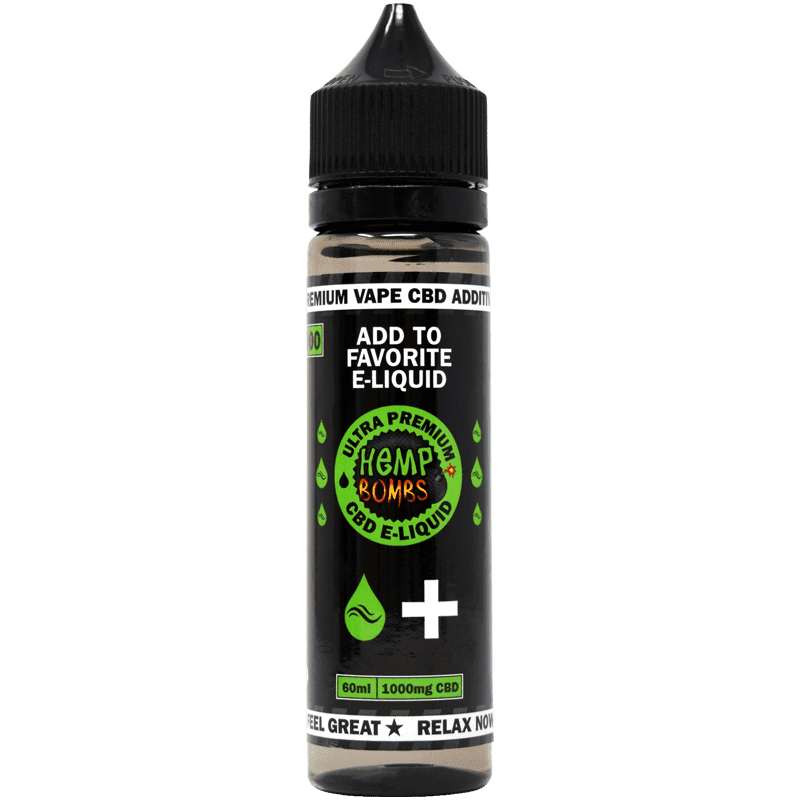 Hemp Bombs CBD E-Liquids are perfectly blended for maximum flavor, cloud production and enjoyment. 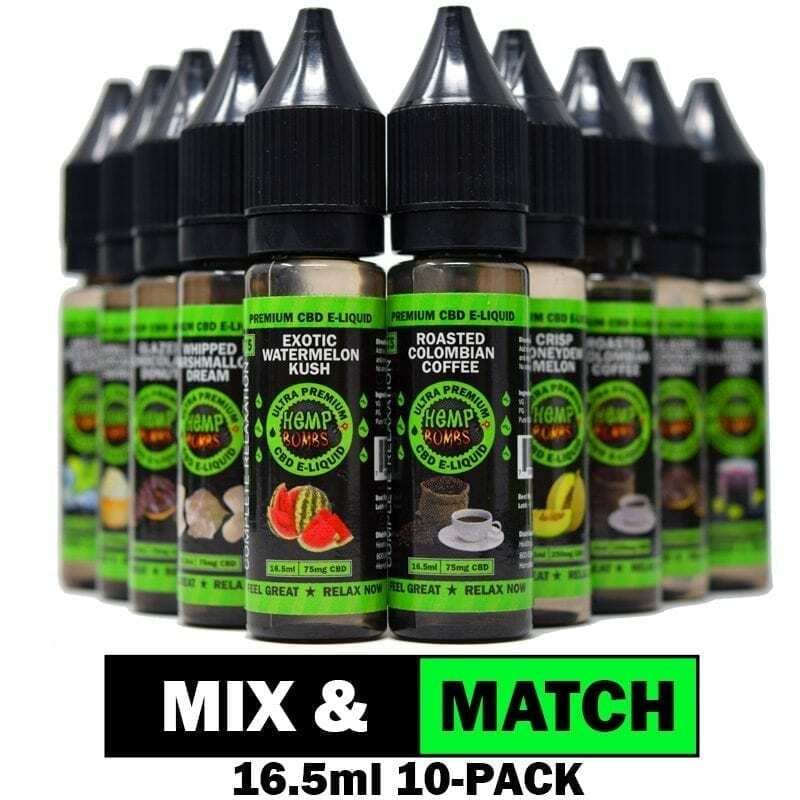 You may order a la carte or select our Mix & Match E-Liquid packages to try multiple flavors at once. 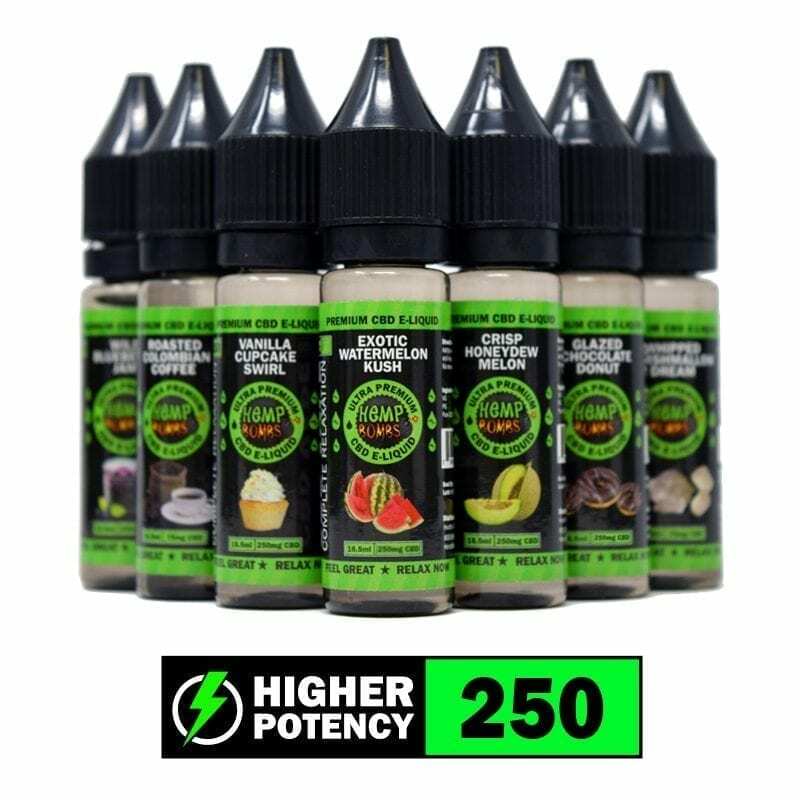 Our bundles give you the option to stock up on a variety of E-Liquids or double down on your favorites – all while saving money. 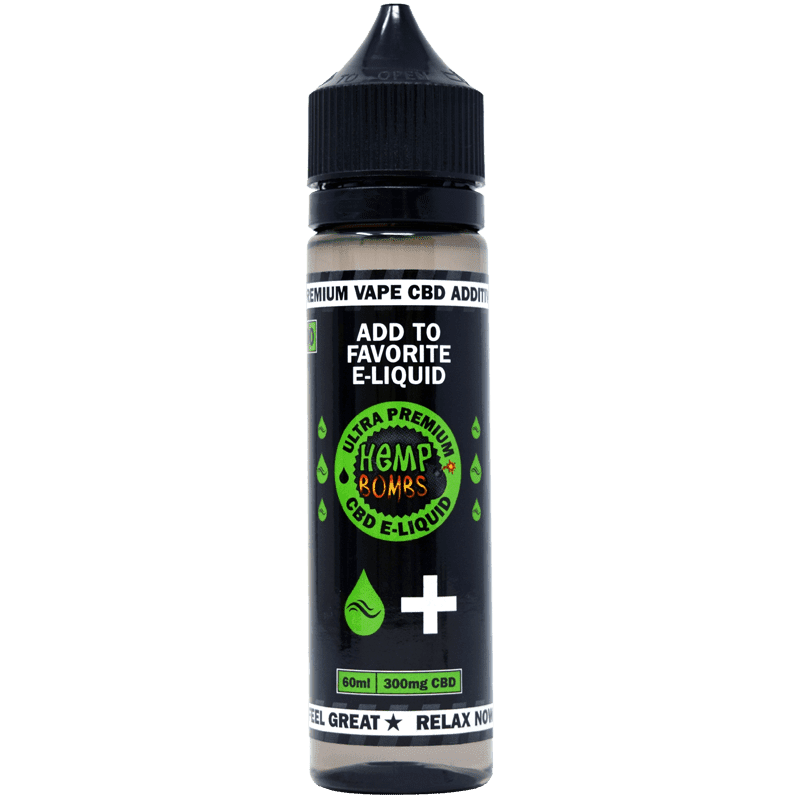 Feel great and relax now with Hemp Bombs premium CBD E-Liquid. 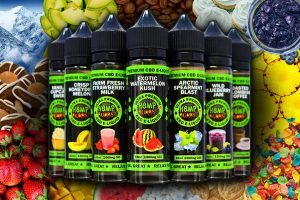 Hemp Bombs is proud to offer a large variety of CBD E-Liquid flavors to enhance your vaping experience. 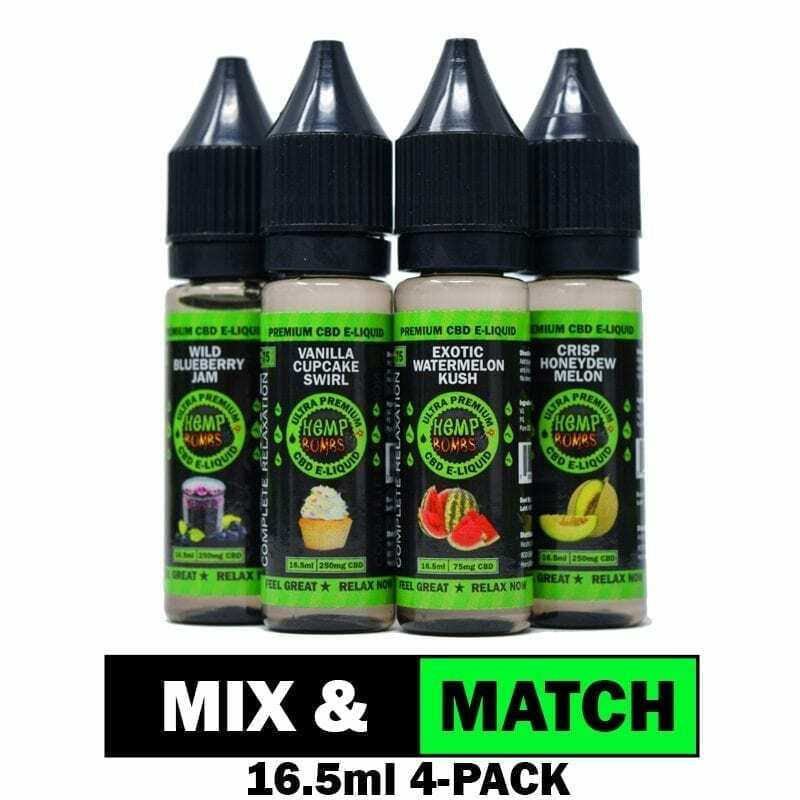 Whether you’re looking for a fruity flavor like Exotic Watermelon Kush or something refreshing and minty like Arctic Spearmint Blast, you’ll have something to choose from. We’re constantly adding new flavors to our line, and our customers love to mix and match our offerings to create their own delicious flavors. We do what we can to cater to your preferences. Some e-juices and vape oils contain nicotine and other chemical additives, but Hemp Bombs CBD E-Liquid is certified pure and contains no nicotine or addictive compounds. While you’ll enjoy Hemp Bombs E-Liquid and look forward to vaping it, you won’t feel cravings or withdrawal symptoms. Instead, you may feel more relaxed after inhaling CBD E-Liquid – it has the potential to promote positive health benefits like regulated sleep, mood improvement, and pain relief. 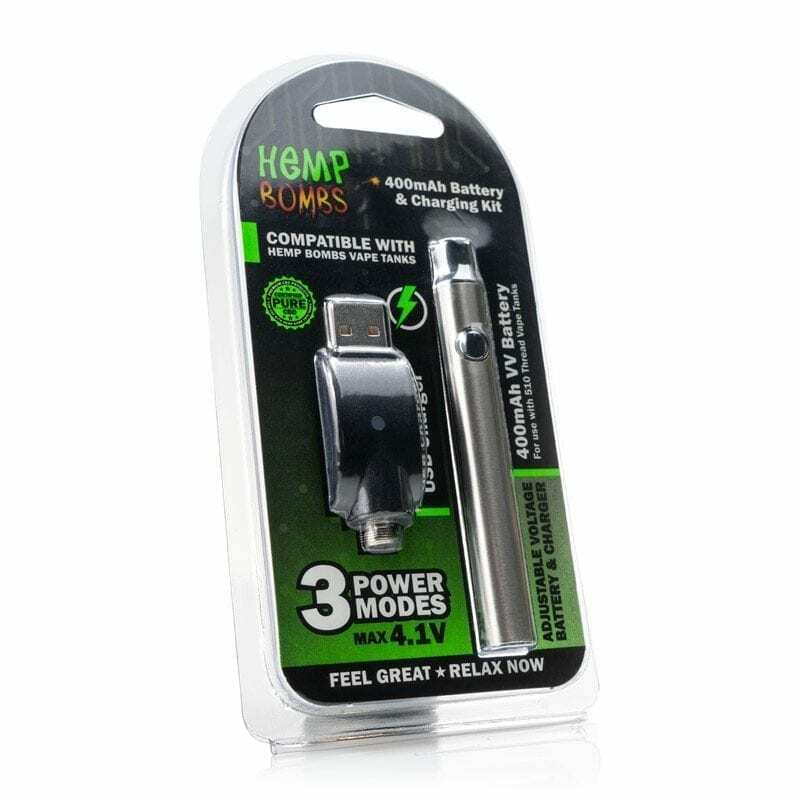 Vegetable Glycerine and Propylene Glycol are two essential components of vape oil, and we’ve formulated our VG/PG split for maximum enjoyment and increased cloud production. 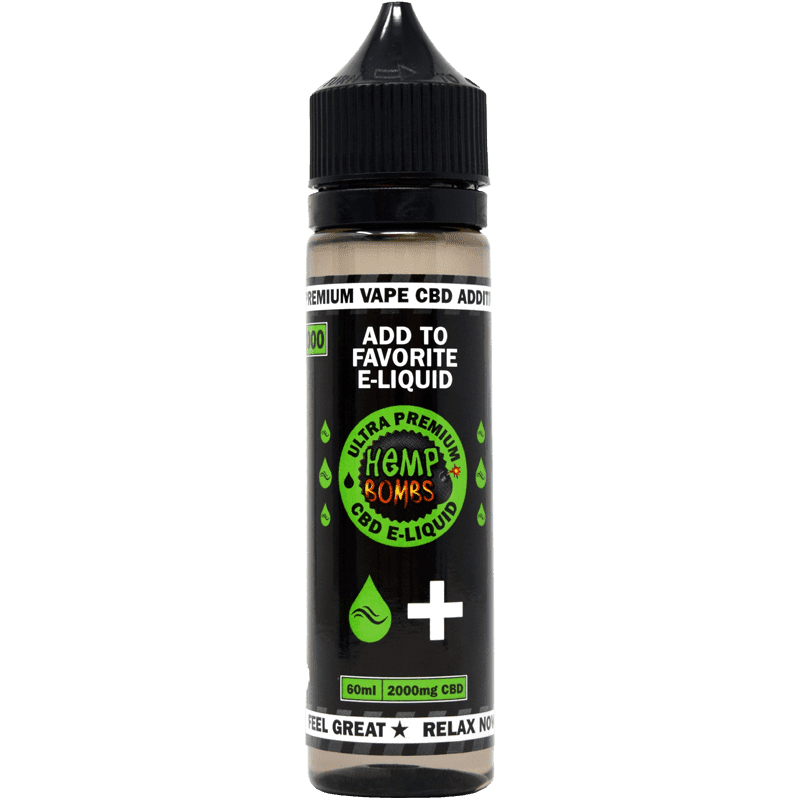 Additionally, all our VG and PG is food-grade – and you don’t have to worry about our CBD E-Liquid being associated with lung problems or any other complications that result from some vape products. Hemp Benefits without the "High"
Hemp and Marijuana are both members of the Cannabis family, but the plants differ in composition – which is why Hemp Bombs products don’t get you “high.” While Marijuana has high levels of Tetrahydrocannabinol, or THC, Hemp contains only trace amounts of the compound. Our products undergo an isolation process to ensure they don’t contain any THC – so you may feel relaxed or calm after taking our products, but you won’t feel psychoactive effects. We have complete control of our manufacturing process, which means you can always rest assured that you’re getting a pure, sustainable product. Hemp Bombs will never sacrifice quality and cut corners. Our premium CBD E-Liquid is sourced from organic, superior-grade Industrial Hemp. Our manufacturing happens in-house, and our experienced production team oversees the process. We guarantee that every product meets our rigorous quality control standards. 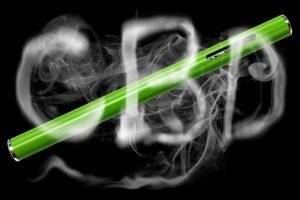 Why Incorporate CBD into E-Liquids? CBD, or Cannabidiol, is a compound extracted from both Hemp and Marijuana. As you know, Hemp Bombs only uses CBD isolate extracted from premium Industrial Hemp. 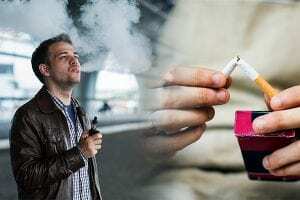 When looking at why CBD E-Liquid is so effective, it’s important to know about the Endocannabinoid System, or ECS, an essential system responsible for several functions that help your body maintain its healthiness. When CBD enters your system, it interacts with the cell receptors in the ECS. Because the ECS influences memory, mood, appetite, pain and more, CBD has the potential to reduce pain, improve mood and help with focus. 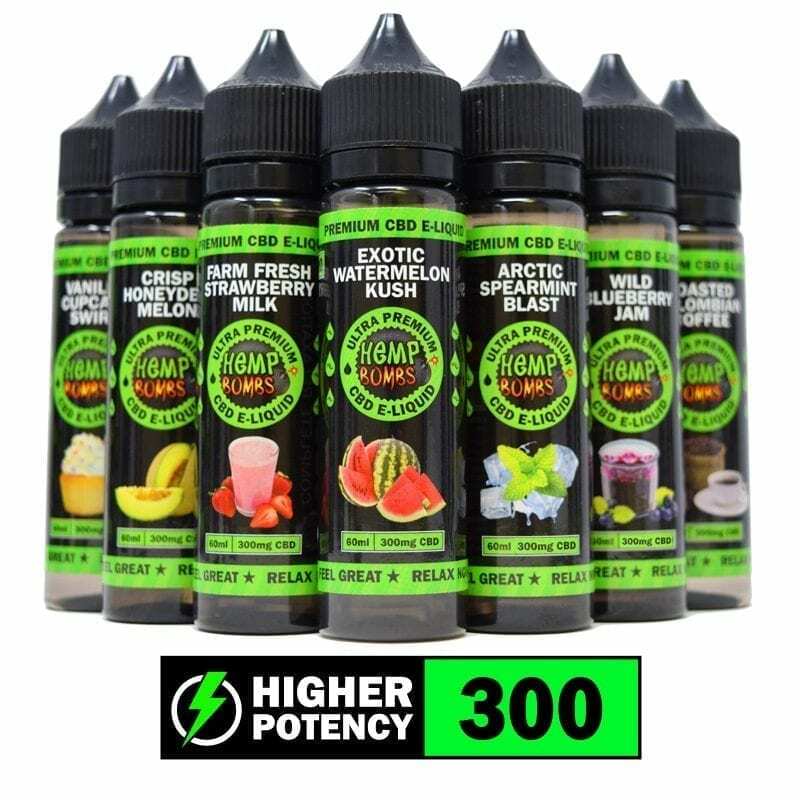 You don’t have to take our word for our products – Vaping360 and Vapor Vanity have both rated Hemp Bombs E-Liquid one of the top CBD products on the market. 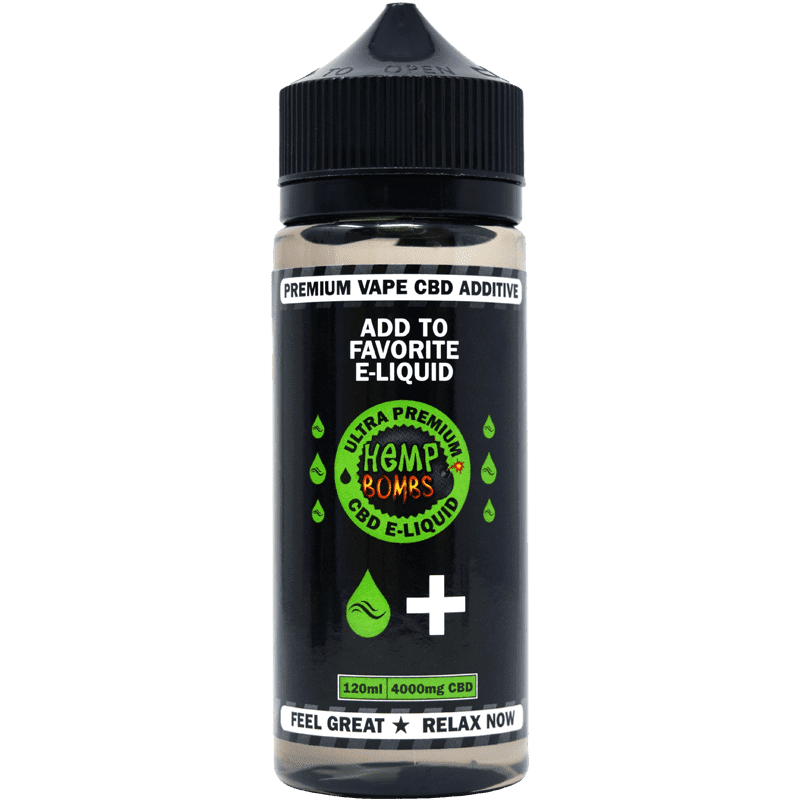 Additionally, you can look at product reviews under any of our products to read thoughts from customers who have tried our CBD E-Liquid.